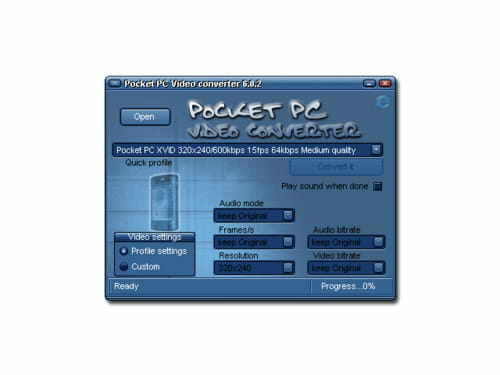 PocketPC Video Converter is a tool that enables you to convert your favorite movie to file which will be able to play from your Pocket PC. The application allows you to convert from DivX, Xvid, AVi and MP4 format. Offering an intuitive interface, this tool allows you to automate shutdown process after a long time conversion. Latest update on November 17, 2016 at 03:50 AM.